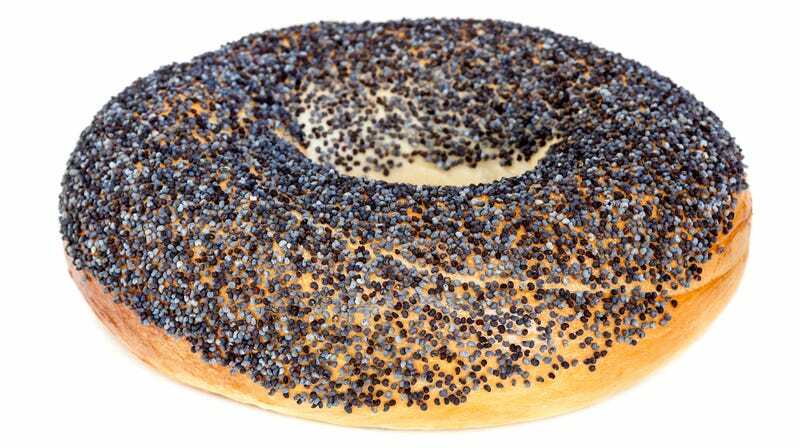 The poppy-seed bagel scare is one of those urban legends that is apparently spot-on. Seinfeld episodes notwithstanding, it seems like everyone knows someone who knows someone who has tested positive for opiates that after eating a poppy-seed bagel or muffin, or it pops up in the news every once in a while. Like this week: WBAL-TV reports that Maryland resident Elizabeth Eden was at the hospital in labor when she was informed that she had tested positive for opiates. “I said, ‘Well, can you test me again? And I ate a poppy seed bagel this morning for breakfast.’” Instead, she was informed that she had been reported to the state. Time says that Eden’s new daughter, Beatrice, had to stay in the hospital for five days, and a case worker was assigned to monitor Eden’s behavior. Once Eden convinced the case worker that the positive test was due to a bagel, her case was closed. So it turns out some urban legends are true: You can test positive for drugs after eating a poppy seed bagel. “In fact, studies have shown that just a teaspoon of poppy seeds can cause your levels to be 1,200 nanograms per millimeter,” says WBAL-TV. At the hospital where Eden was giving birth, the limit was 300 nanograms. Something to keep in mind the day before or morning of your next job interview. Hey Andy Samberg, is a hot dog a sandwich?